The construction industry continues to wait for the release of AS 11000 General Conditions of Contract which will replace the two current suites of Contracts AS 2124:1992 and AS 4000:1997. Public comment on the draft AS 11000 released in 2015 was overwhelming and as a result a new draft is expected to be open to public comment in the coming months in order to reconcile and account for the many proposed changes and comment received during the first round. The current draft AS 11000 has been designed to improve contract administration and allow for an early warning procedure to better identify and balance the risk allocation. The intention is also to reduce the cost of management and administration of contracts. The general premise of the changes also focuses on clarifying and simplifying the language and requirements i.e. business days calculations in relation to security of payment claims, and some general administrative changes allowing for changes in technology to benefit the process, i.e. service of notice by email. As a result of the desire to simplify requirements and shift risk between the parties, the new Standard may however have inadvertently created another layer of uncertainty and tension within contract negotiations. The proposed Standards are adopting the Abrahamson Principles of risk allocation, which is effectively, ôA Principal should not ask a Contractor to price an unquantifiable risk which is within the control of the Principalö. It appears however that unquantifiable risks not within either the Principal or Contractors control can be forced on to the Contractor. The new good faith clause is an ôexpress obligationö and also an overriding obligation that has caused some concern in the industry in relation to its impact on the entire contract. This ôexpress obligationö, the lawyers say, is concerning because it hasn’t been clearly defined and to ôact in good faithö in the law of contract is still not yet conclusively defined by the courts. It is open to much broader interpretation. The concerns from the lawyers is that because to ôact in good faithö is not defined by the new Standard it could impact on the way commercial contracts are negotiated as the clause will shift the focus from commercial self-interest to imposing a standard of duty to consider the business interests of all parties to the contract. In addition to the requirement to act in good faith, the new Standards make provisions for an early warning procedure, whereby parties or the Superintendent are obliged to advise of any change of circumstances that may impact on the Contract. This is designed to prompt early resolution of any issues and mitigate the risk of disputes under the Contract. In addition the new Standards make provision for greater flexibility in relation to dispute resolution options available and a proposed accompanying Standard, AS 11001, will deal with these alternative forms depending on the nature of the project or the more ôformalised forms of contract management proceduresö. The new Standards will also seek to meet the compliance needs of the various state and territory Security of Payments legislation and more specifically in relation to a consistent application of business days as calculated in the various SOP legislations. The current draft AS 11000 amends the payment clause in order to facilitate better administration of the contract and allows for the Superintendent to receive and issue documents on behalf of the Principal to comply with the relevant Security of Payments Act. Where relevant under any SOP Act, the Superintendent can receive payment claims and issue payment schedules on behalf of the Principal, acting as their agent. AS4000’s dual certificate has been abandoned in the new Standard which means that the Superintendent only issues one certificate for the amount payable which complies as a payment schedule under the SOP Act. The new Standards propose that all Bills of Quantities submitted will be required to be priced, whether or not they are to form part of the contract. This will be a benefit to the Superintendent when the contract requires that a valuation is to be made particularly where the BOQ is not a contract document. Major changes to pre-payment of unfixed items offers two alternatives for Contractors, the first not allowing for Contractors to be pre-paid and the second allowing pre-payment subject to the Contractor satisfying conditions set out in the new Standards. Financiers and Developers need to be aware that this change is likely to be in conflict with the finance conditions of offer and that the Developer may have to fund these early payments until the work is fixed in position. There is a requirement on the Main Contractor to apply the AS 11002 subcontract conditions without amendments except where necessary and any non-compliance is expected to be a substantial breach by the Contractor. We see that many Contractors will struggle with this requirement as it takes control away from them as to their conditions and relationships with their subcontractors. The majority of Contractors have in house subcontracts and/or major amendments and special conditions that they have developed over time and that they include in all their Subcontracts. The new Standards are said to revert back to the AS 2124 requirements in relation to the Principal’s obligations to the role of the Superintendent and this specifically clarifies the Superintendent’s need to act impartially where they are required to certify, assess, price, measure or value works under the Contract. The contractor will also be under a specific obligation to rectify work when it becomes aware that the standard of work does not meet the requirements of the contract and without the need for the Superintendent to advise them to rectify the works. Not only does this require the Contractor to identify the defect but also effects the time to rectify the defect, it may be the case that it is to be rectified as soon as it’s discovered which could be inefficient. Extension of Time will be measured in working days which will be a defined term under the new Standards. ôGiving of noticesö will continue to be calculated in business days. This is of benefit in that it alleviates previous ambiguities that arose in the calculation of days under the various contract conditions. The new Standards propose substantial changes to the programming provisions and the Superintendent will have the power to accelerate the works. It will include a specific obligation to notify any delay of works promptly and at the very least within 5 business days. It is unknown at this stage if the five (5) days is from when the delay commences, or when the delay becomes apparent, or within five (5) days of the end of the delay. The Contractor will be required to include in its written notification whether an extension of time claim is likely as a consequence of the delay. This infers that the Contractor must advise of Contractor caused delays and may have some interesting consequences, especially with the right of the Superintendent to direct acceleration due to a Contractor caused delay. 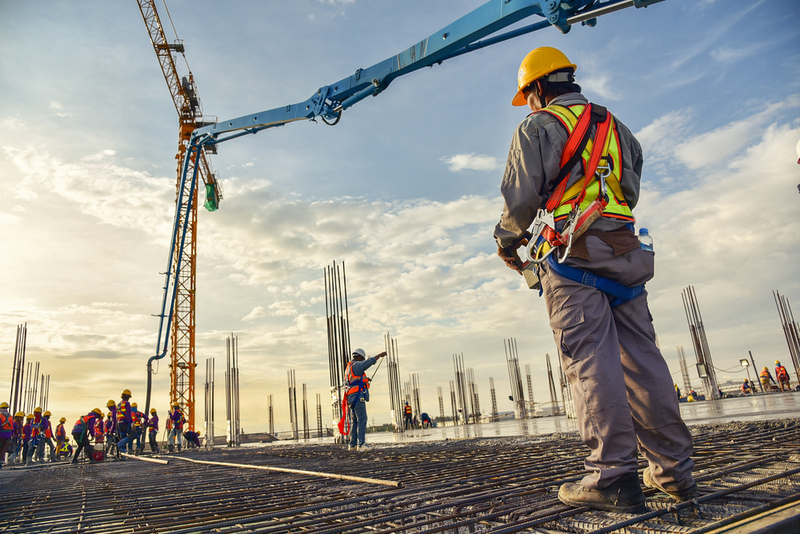 The new Standards are expected to clarify causes of delay and the grounds for which a Contractor can claim an extension of time as a result of the delay. There are substantial changes proposed for the assessment of extension of time claims and the Superintendent has the option to assess and agree the extension of time within 20 business days or request further information from the Contractor within that time. Upon receipt of the further information the Superintendent has a further 20 business days available to assess the extension of time. Failure to do so will result in the Contractor being granted the extension of time. The Superintendent will now have to ensure they complete such tasks within set time frames. The changes also include that where there are concurrent delays, and where one delay the Contractor is entitled to a delay (including Principal caused delays) and another where they aren’t entitled to an extension of time, then the Contractor will be entitled to an extension of time but not for delay damages. A new regime is proposed in relation to a direction being considered a variation. The Contractor has 5 business days upon receiving the direction to submit a notice that the direction is in fact a variation. The Superintendent then has 5 business days to respond and can invoke the early warning procedure if it does not accept that the direction is a variation under the Contract. Interestingly there are no changes proposed to the Variation Valuation clause other than to say that profit and overheads are generally included within rates and prices unless otherwise advised and the new Standard proposes including a specific right to cover delay costs caused by a variation if not already included in the price. This doesn’t deal with the issue of what the percentage is for items where profit and overhead are not included other than to rely upon the percentage for provisional sums where the work is subcontracted. The new Standards also provide for a differentiation between ôdelay damagesö and ôdelay costsö. Recognition of Digital Data and Building Information Modeling (BIM) û A missed opportunity? While the proposed AS 11000 makes a small step in the direction of technology by acknowledging email as a communication method it does not recognise any forms of digital data, online document management or web collaboration and communication methods. In an environment that does not acknowledge modern forms of information it is difficult for innovation to exist because one party can deny access to digital data on the basis that the General Conditions are silent about it and its use versus paper. The incorporation of Building Information Modeling (BIM) is a more consuming task but nevertheless is needed because there is currently no statutory or common law framework around the use of BIM in Australia. 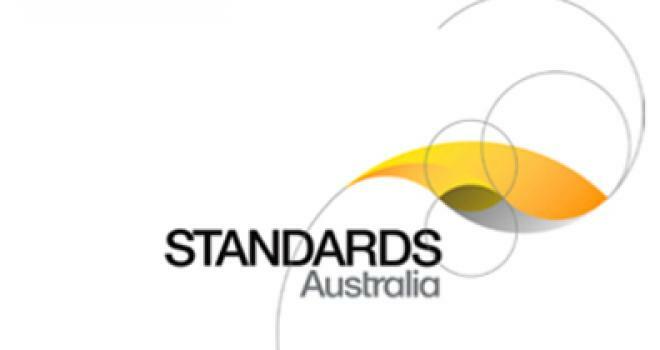 If Australia is to follow the UK’s lead in accordance with Recommendation 7 of The Standing Committee, the simplest way to define and protect a party’s rights and obligations when participating in a BIM project is to develop a bespoke BIM protocol and annex it to an existing Australian Standard Contract. If AS 11000 does not consider BIM there is a risk that the new standard will provide a platform for the development of a series of protocols by Principal’s and clients. This will exacerbate the onus on contractors and consultants in having to satisfy a range of different protocols when working on multiple projects at any one time. You can view information on the current draft AS11000 here and we await the release of the final draft Standards anticipated mid-year. 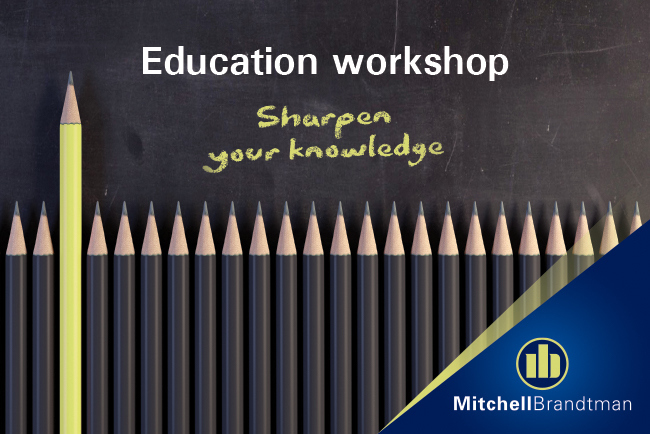 For more information contact Gary Thompson (Partner at Mitchell Brandtman) on +61 407 964 435 or email gthompson@mitbrand.com. Gary joined Mitchell Brandtman in 2003 as Partner for Northern Queensland, bringing to the company his detailed knowledge of the local subcontract market, hands on building experience and expertise on a wide range of project types.